Emails shown in court reveal that lenders pressured the Indian tyre maker to renegotiate the $2.3 bln takeover of its U.S. rival. Labour woes make the leveraged deal more risky. While banks want to avoid the blame for pulling the plug, they appear keen to limit their exposure. 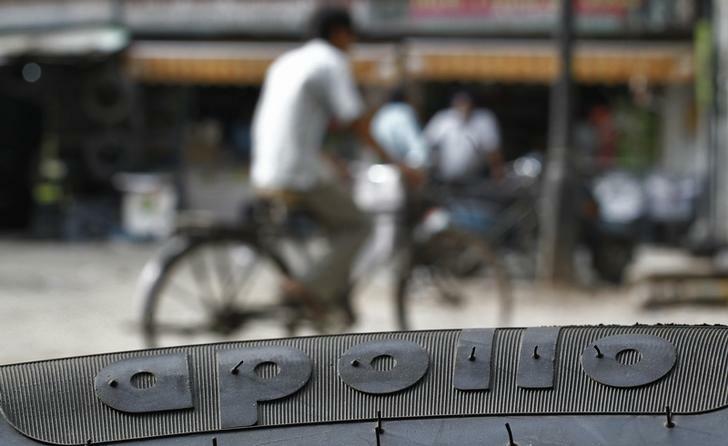 India’s Apollo Tyres was under pressure from its bankers to renegotiate the agreed $2.3 billion takeover of U.S rival Cooper Tire & Rubber Co. following labour disruption at its operations in China and the United States, according to emails shown in a Delaware court and reviewed by Reuters Breakingviews. September that Cooper must reach a new agreement with United Steelworkers (USW) before it could sell two of its key factories. Cooper will on Dec. 19 seek a ruling from the Delaware Supreme Court that could force the Indian company to complete the agreed deal on the original terms. Morgan Stanley, Deutsche Bank, Goldman Sachs, and Standard Chartered agreed to finance the deal through a $1.9 billion bridge facility and a $500 million revolving credit facility. In addition, Standard Chartered committed $450 million of debt financing, according to the original merger agreement. “I hope your meetings with USW are productive this week and you are successful in achieving some reduction in the acquisition price resulting from this development”, Standard Chartered’s global head of strategic finance Sumit Dayal wrote in an email to Apollo’s vice chairman Neeraj Kanwar on Sept. 30. “My sincere suggestion would be that China ought to be settled to your satisfaction before you pull the trigger on the deal despite the legal position. I am sure you will weigh these risks in the coming days as eventually there [are] just a few of us who are taking real risks here”, Dayal added. Standard Chartered and Apollo declined to comment on the email. “Hypothetically, what would prevent Air [the code name for Apollo] from taking a very difficult position with the USW and then watching the clock run out to the end of the year? In other words, does Air now have an out to the deal?” William Dotson, managing director at Morgan Stanley, asked in an email to a lawyer and a colleague on Sept. 14. Morgan Stanley declined to comment.